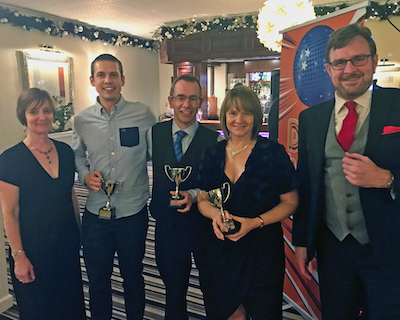 Below are the list of our worthy award winners for 2018, presented during a wonderfully enjoyable evening at the Park Hotel in Barnstaple on the 11th of January 2019. For those unable to attend, a copy of the Chairman's Speech is also included hereunder. Good evening fellow Road Runners and welcome to our 2019 Christmas Dinner & Awards evening. A big welcome must also go out to the partners who have joined us to celebrate a great year of running. You are the ones who put up with our countless hours of training, days away at races, grubby trail shoes and manky toenails. For that you have our deepest thanks. Long may you put up with us. In-turn the club is also celebrating the end of a good year. Our races have grown from strength to strength, with many achieving new entry records, while feedback from all our races has been outstanding. Barnstaple Marathon in particular received the best feedback from runners we have ever received. Likewise, we received the best turn-out ever at the Summer Relays and all our teams did extremely well. Some other points I should mention. We have introduced the WebScorer timing system and have successfully used it for our Winter Handicap Series, at the Hartland Hartbreaker, the Arlington Court Canter and soon at the Braunton 10. We have extended our Social Media presence and now have a club Strava Group, individual Facebook pages for all our key events and a new Facebook discussion group attached to the main road runner page. We have also been running Facebook Adverts this year for our Beginner’s Courses and Races. These have proved extremely effective, especially when you consider the record entries we have had. The website continues to adapt and improve and at the end of last year, we were finally able to bring online debit and credit card payment to our site, removing our reliance on PayPal. We also now have an online shop, where members are able to purchase the various clothing we offer, including a North Devon Road Runners softshell jacket. The club has also recently formed itself as a Ltd Company, which allows us to open a new bank and merchant account, which will help greatly in paying for all our subsidiary expenses at races and events. In addition, because it is a Limited Liability Company we have formed, the liability risk on individual committee officers and race directors, is greatly reduced. None of the above would be relevant however, without the commitment, creativity and dedication of the Race Directors for each of our events. 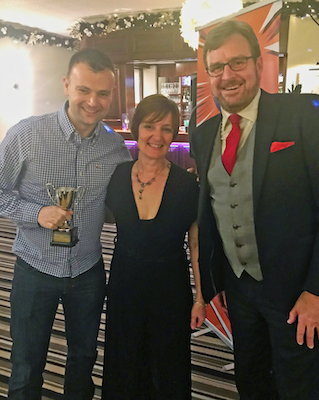 For that reason, I would just like to take a moment to thank Adam Davie, Zoe Smith & Simon Haywood for all their efforts in making our races such a success. That said, none of the above could take place, nor would the events be such a success without the commitment, enthusiasm and dedication of our members, (and many non-members), who give up their time to serve on the committee, marshal, volunteer, support and assist in logistics. You are the true hero’s and deserve our deepest thanks! Give yourselves a pat on the back. This past year also saw us expand our coaching team and coaching initiatives along with run successful Beginner’s & Improver’s Programmes. The people who run and co-ordinate these programmes are all volunteers, but yet give of their time unselfishly week-in, week-out. To the coaches and their support team. Thank you. This award goes to a runner, who isn’t necessarily the quickest runner /or a runner who has run the furthest, but who has achieved significant milestones during 2018. This person then went on to win first place in their age category at the Ilfracombe Crawler and most importantly, won the individual fancy dress prize at the road runner Christmas Quiz Run. She is one of the most senior female members of our club, proactive with her training and takes part in most races. When she’s not running a race, she can often be found marshalling, sorts food for races and events. I would be remiss, if not mentioning some of the other candidates you nominated and who equally, produced some outstanding performances in 2017. For that reason, I would also like to make special mention and congratulate: Steph Wade, Viv Yates, Phil Thorne & Vicky Bolsomon their exemplary performances. This person has pushed herself this year and not only completed quite a number of Marathons & Trail Runs, but also her first Ultra. She went on to be awarded in her age category and achieve a time in a Dartmoor Trail Marathon that most of us would be proud of if we had done it on the road. Other than knocking 17 minutes off her marathon time, she was also able to achieve new personal bests in the Winter Handicap and over the half marathon distance. I would like to invite Adam Davie to the stage, to accept the award on her behalf and as she is unable to attend tonight. Other special mentions, nominated by you, also need to go to Shaun Watts, Jackie Morris & Adam Davie. Well done. The first winner managed to achieve five personal bests in eight races and exceed her annual target of 500 miles. 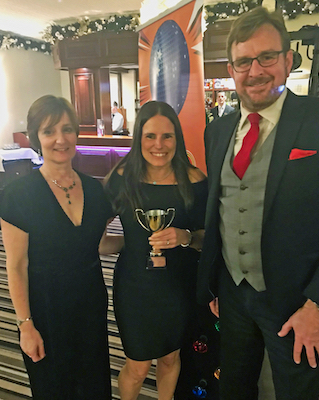 The second winner ran almost 800 miles this year past and achieved Park Run personal bests and new personal bests at the Barnstaple & Bideford Half Marathon, after only having run their first half marathon in February. The third and final winner can be seen training three times a week at our 05h30 morning sessions, has run a 3 hour 31 minute marathon, (his first), and achieved personal bests at the Bideford 10K and Bideford Half Marathon. I am very proud therefore, to present these awards to: Lisa Adamson, Gavin Cottle & Alistair Cook. This person has improved a massive amount in the last 12 months, including running her first 10 miler and taking part in the winter handicap, where she has already knocked several minutes of her personal best. She has been doggedly determined and worked very hard to improve her running. 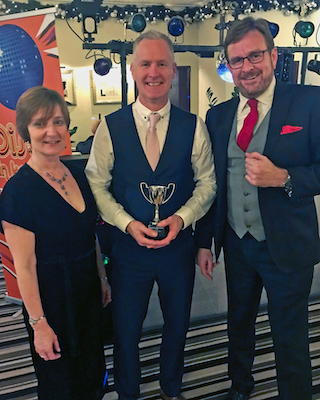 This year’s award, voted by yourselves, goes to someone who gives of their time at each and every one of our events and is a stalwart of the set-up and strike-down teams at our races. Not only helpful, this person never complains, regardless of the task at hand and is always friendly and approachable. 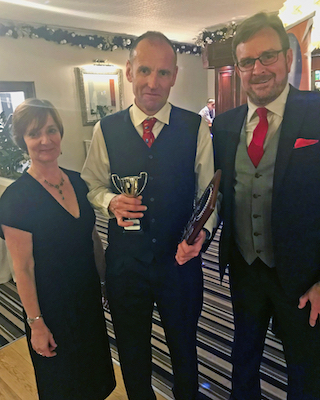 On top of volunteering, he achieved an age category win at the Bideford 10K, ran almost 900 miles last year and is one of the regulars at the 05h30 morning training sessions. She has now run a number of ultra trail marathons including taking on the infamous Arc 50 miler in February this year. 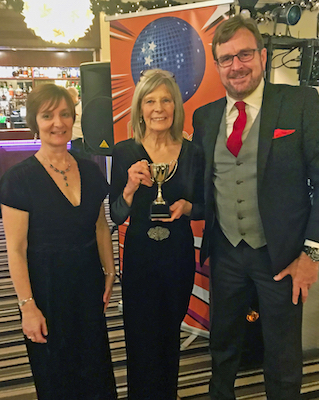 She achieved over 1,000 miles of running last year, while also being an active member of the committee and volunteering teams. Not discounting the above, I think the main reason she received the number of votes she did from members and the main reason the committee used their votes on this award almost unanimously, was due to the exemplary role she played in taking on the mammoth task of being the Race Director for the Jewson Barnstaple Marathon & Half Marathon. Simon having been the previous race director from the inception of the race, meant there were big boots to fill. 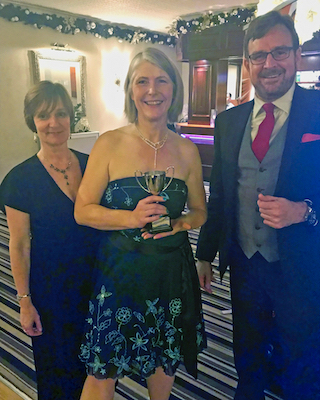 Not only did she take this challenge on, but in doing so was able to put on the best-run Barnstaple Marathon to-date, while also exceeding previous entries and race profits. Before announcing our final award, I wanted to take a moment to recognise some of our hidden hero’s. These people, (some of which do not even run for the club), tirelessly contribute to the success our events and programmes. These people, often unseen, are the true spirit of the club and to that end I wanted to offer them our thanks and appreciation. This person led the Vet 50's to victory in North Devon Relays. consistently attends both club nights every week and leads many of the Thursday Coaching Sessions. He is always willing to look after less experienced runners within the club and is described almost to a person, but particularly in the nominations, as an all-round nice guy. He also took on the role of Men’s Captain for the North Devon Relays and did an exemplary job in ensuring we had record club turnout at each of the events. Would you like to say anything…? I have one more important mention to make. I would to thank Becky Mountfordon behalf of all of us for the outstanding effort she has put into this evening. Preparing for an event such as tonight, as well as the many other social events, coaches and the like she has co-ordinated throughout the year, takes a tremendous amount of time and coordination. I hope you all enjoyed your meals and the consumption of copious amounts of alcohol. Some of you probably don’t need any encouragement.